Ps. Presto un post con suggerimenti per inserire questa palette di colori dentro casa! This year, I see September in a mauve, plum, lilac and powder pink palette. 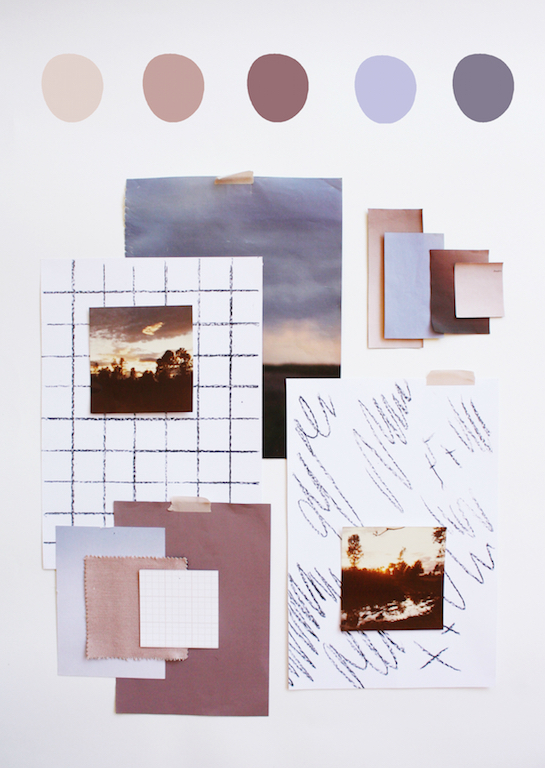 It is inspired by those end-of-summer sunsets, where the colours seamlessly fade into one another. They are nostalgic, bittersweet moments, as we know we have to say goodbye to the holidays and slowly head back to our work/school/life routines. We take time to reflect and savour the summer memories. Hopefully, we will also have new energies and ideas and be ready to tackle new challenges or start exciting projects, hence the scribbles and grid patterns. Which colours is your September? I'm very curious to know, and I will soon show you how to bring these colours into your home.